Date Added: Friday 04 January, 2019 by Ivan V.
First I have to say this uniform went above and beyond expectations. It is simply flawless and zero regrets purchasing. 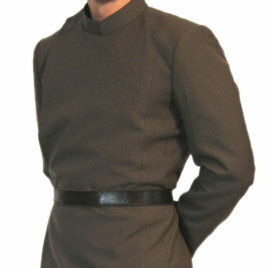 You cant compare it to an Anovos uniform that I sincerely regret purchasing. The tailoring was precise and close attention to detail. Thanks again.. Date Added: Wednesday 17 October, 2018 by Jason L.
Absolutely worth the extra money. I have a black uniform from another vendor, but these blow it out of the water! Get professionally measured and these will fit you like a glove. Excellent craftsmanship and materials. Will definitely be upgrading my black uniform in the future to one from Magnoli!.. Date Added: Thursday 26 July, 2018 by Brent H.
Date Added: Wednesday 14 March, 2018 by Robert W.
Date Added: Wednesday 04 October, 2017 by Hector P.
Date Added: Monday 04 April, 2016 by Aaron S.